Hello , welcome to Elite BMW Automobile! The all-new BMW X7 offers its customers the ultimate in comfort, luxury and refinement. It's actually a 7 Series, but with three rows of seats and much more impressive off-road capabilities than expected from such a luxurious vehicle. Base X7 xDrive40i SUVs (remember Alpha-Bits?) pockets a 3.0-liter inline-6 with a single turbocharger for net output of 335 hp and 330 lb-ft of torque, which it punches out at a low 1,500 rpm. It purrs somewhere off in the distance, behind a thick wall of acoustic glass, while it drops a 0-60 mph time of 5.8 seconds, according to BMW estimates and despite a curb weight of at least 5,370 pounds. The perception of speed isn’t nearly that quick since the X7 blankets the road with its mass and blankets a lot of its road noise with a muffled exhaust. Top speed’s capped at 130 mph. 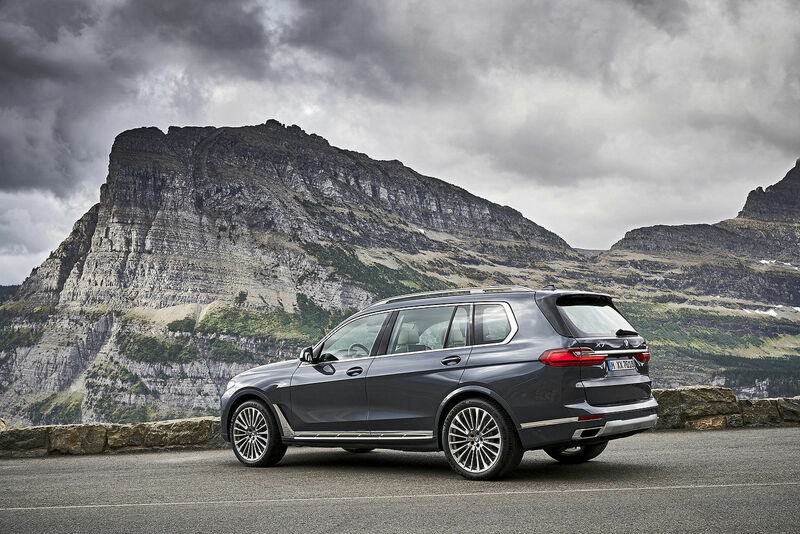 High among the X7’s attributes is its air suspension system with automatic self-levelling. The suspension’s air supply is controlled individually for each wheel, enabling it to balance out an uneven load. It also works in tandem with the dynamic stability control system; the vehicle load registered by its sensors can be factored into braking calculations. Yet, despite its full-bodied avoirdupois, the crossover boasts decent acceleration when pushed, zero to 100 km/h, according to BMW, taking just 6.1 seconds for the 40i and 5.4 seconds for the 50i. 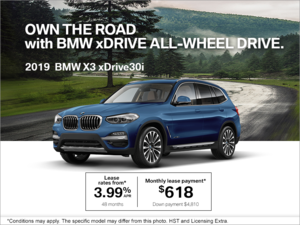 To learn more about the all-new BMW X7, contact us today!